Is SLM Corp (SLM) A Good Stock To Buy? SLM Corp (NASDAQ:SLM) has experienced a decrease in support from the world’s most successful money managers recently. SLM was in 19 hedge funds’ portfolios at the end of September. 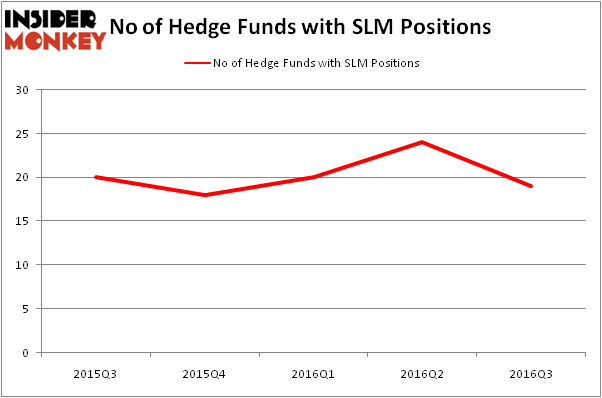 There were 24 hedge funds in our database with SLM holdings at the end of the previous quarter. 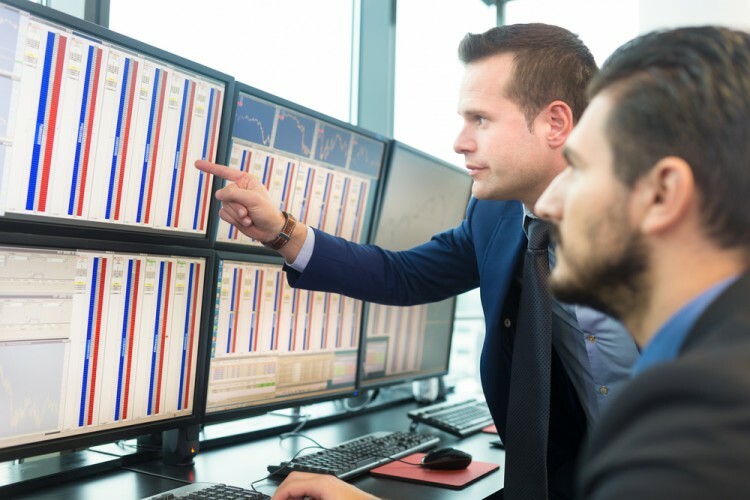 At the end of this article we will also compare SLM to other stocks including Columbia Property Trust Inc (NYSE:CXP), Worthington Industries, Inc. (NYSE:WOR), and Horizon Pharma Inc (NASDAQ:HZNP) to get a better sense of its popularity. What does the smart money think about SLM Corp (NASDAQ:SLM)? At Q3’s end, a total of 19 of the hedge funds tracked by Insider Monkey held long positions in this stock, a decline of 21% from the previous quarter. Below, you can check out the change in hedge fund sentiment towards SLM over the last 5 quarters. With hedge funds’ positions undergoing their usual ebb and flow, there exists a few notable hedge fund managers who were increasing their stakes considerably (or already accumulated large positions). According to publicly available hedge fund and institutional investor holdings data compiled by Insider Monkey, Cardinal Capital, led by Amy Minella, holds the number one position in SLM Corp (NASDAQ:SLM). Cardinal Capital has a $38.2 million position in the stock, comprising 1.8% of its 13F portfolio. The second most bullish fund manager is Hutchin Hill Capital, led by Neil Chriss, which holds a $34.4 million position. Other members of the smart money with similar optimism include Anand Parekh’s Alyeska Investment Group, Gregg Moskowitz’s Interval Partners and Malcolm Fairbairn’s Ascend Capital. We should note that none of these hedge funds are among our list of the 100 best performing hedge funds which is based on the performance of their 13F long positions in non-microcap stocks.